John is the founder and co-chair of the Firm's Financial Institutions Group and has advised hundreds of financial institutions on strategic, corporate governance and other matters for over 30 years. His extensive experience includes the representation of numerous public companies, as well as regional and community banks. John spends considerable time counseling institutions with respect to mergers and acquisitions, regulatory enforcement, and securities and corporate law matters. John has been teaching banking law at a number of law schools for the past 25 years, including at Northwestern University Pritzker School of Law since 2001. He is a well-known speaker at national conferences involving the financial institutions area, addressing bank trade associations, regulators and industry groups across the country. He is one of only three recipients of the Illinois Bankers Association’s Distinguished Bank Counsel Award. He is a long time member of the American Bar Association Business Law Section’s Banking Law Committee, and is the founder and past Chairman of its Community Bank Matters Subcommittee. Represented ATBancorp in connection with the agreement and plan of merger of United American (OTCBB: UABK) into Heritage Bank of Commerce Corp (Nasdaq: HTBK). Since 2000, S&P Global Market Intelligence rankings has listed our firm as one of the top firms in the nation in number of announced bank and thrift merger and acquisition transactions. Our firm ranks #1 in the Midwest and #3 in the U.S. respectively. In total, we have represented buyers and sellers of financial institutions in more than 200 mergers and acquisitions. The Financial Institutions Group has grown to 30 lawyers representing over 250 banks across the country. The group prides itself in providing to banks the same efficient, experienced and responsive service that its banking clients provide to their customers. As a result, we are a continual national leader in bank M&A deals the past 20 years. We also have one of the largest groups of regulatory attorneys in the country serving regional and community banks in regulatory enforcement, workout, restructuring and compliance matters. Represented First BancTrust Corporation (OTCQX: FIRT) in connection with the acquisition by First Mid-Illinois Bancshares, Inc. (Nasdaq: FMBH). Served as counsel for Level One Bancorp, Inc. (Nasdaq: LEVL) in connection with its initial public offering. Served as underwriter counsel in connection with the $34.5 million follow-on equity offering of Mackinac Financial Corporation (Nasdaq: MFNC). Represented Andalusia Community Bank, in executing an agreement and plan of merger with Midwest Bank, a wholly-owned subsidiary of Western Illinois Bancshares, Inc.
QCR Holdings, Inc. (Nasdaq: QCRH) Merger with Springfield Bancshares, Inc. Represented QCR Holdings, Inc. (Nasdaq: QCRH) in connection with its acquisition of Springfield Bancshares, Inc. Client Alert: Why Would a Bank Dissolve Its Parent Corporation? #1 Midwest / #3 in the U.S.
NorthWest Indiana Bancorp Acquires First Personal Financial Corp.
QCR Holdings, Inc. Announces Completion of Its Merger with Springfield Bancshares, Inc.
Where Are The Deal Makers? First Busey Corporation to Acquire First Community Financial Partners, Inc.
First Busey Corporation to Acquire Pulaski Financial Corp.
First Midwest Bancorp, Inc. to Acquire NI Bancshares Corp.
Five BFKN attorneys named 2013 "Best Lawyers"
When Should You Hire A General Counsel? 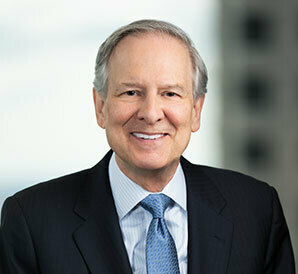 John Freechack named one of "Chicago's Best Lawyers"